Being overweight at any stage in life poses physical and emotional health challenges for both men and women. Besides the social stigma of obesity that leads to body shaming and self loathing, there are practical matters that lead to embarrassment, like sitting on an airplane or taking public transportation, finding flattering and comfortable clothing, going through turnstiles or sitting at a school desk. The good news is that all of the health threats posed by obesity are reversible with weight loss and exercise. Yet despite the health risks associated with obesity, losing weight poses many challenges. Exercise puts increased load on joints, and the limitations imposed by excess body mass make certain exercises impossible to perform. For many people, a combination of reduced calories and rigorous exercise is impossible to sustain for more than a few weeks, especially when weight drops slowly or doesn’t budge at all. Slow weight loss coupled with feelings of exhaustion and deprivation are a recipe for failure. Many people fear that a restricted calorie diet that causes rapid weight loss is dangerous. However, evidence indicates that the dangers of obesity far outweigh any risks associated with rapid weight loss. 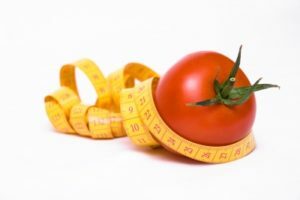 The hCG Diet combines a 500 to 800 restricted calorie diet of nutritionally dense foods with hormone injections and limited physical activity to help obese individuals rapidly lose weight. Human chorionic gonadotropin, or hCG, is a hormone produced during pregnancy in the placenta that serves to nourish a growing fetus. The unique properties of hCG promote healthy tissue growth, preserving lean muscle and other tissues that support vital organ development. In theory, when hCG injections are combined with a very low calorie diet, lean muscle and vital organs are preserved, forcing your body to tap into fat reserves for energy. When your body functions in a fat-burning mode, your appetite is suppressed, and you do not feel hungry. Limited physical activity helps keep hunger at bay as the pounds melt away. Many successful hCG dieters report an average weight loss of one to two pounds per day. Imagine shedding 60 pounds in just a month or two! And imagine the health benefits that will inevitably follow. Both men and women can benefit from hCG, which has been proven safe, and hCG may even boost testosterone levels in men. The science underlying fitness, weight loss and nutrition is fascinating, and it helps fitness professionals better understand their clients’ needs, and how to help them. Some courses that support knowledge of weight loss include Certified Personal Trainer, Nutritional Concepts, and Fundamentals of Sport and Exercise Nutrition. Growing your knowledge will grow your career by making you an expert in your field.